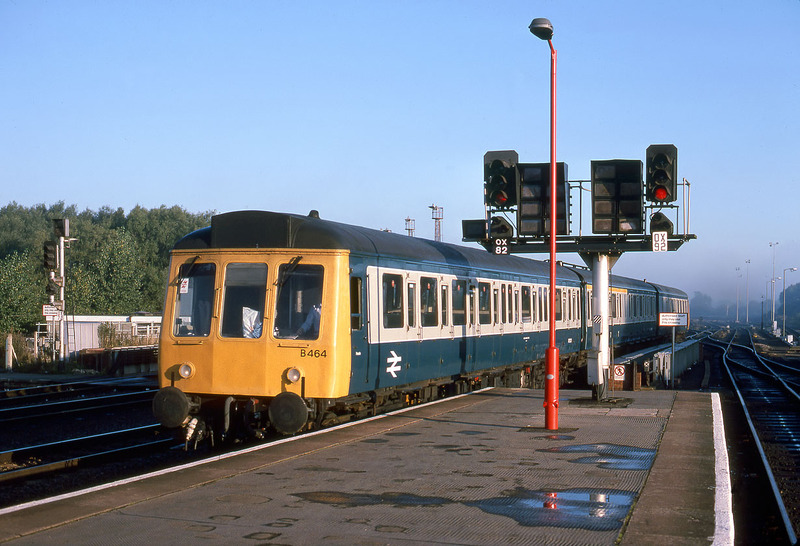 Class 118s were not particularly common in the Oxford area, but on 25 September 1987 Bristol allocated set B464 (51321, 59473 & 51306) was used on the 08:10 Oxford to Reading service. It is pictured arriving at Oxford's platform one after making the short smoky trip from the up carriage sidings (visible in the background on the right). This train would run non-stop to Didcot, from where it would become an all stations service to Reading.